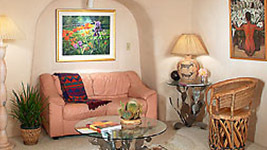 The Taos Country Inn offers southwest style Taos lodging with eight beautifully appointed suites. 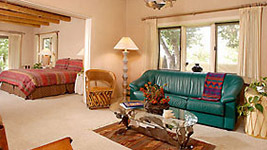 Each room has a sitting area, leather sofas, kiva fireplaces, down comforters, televisions, and private baths. 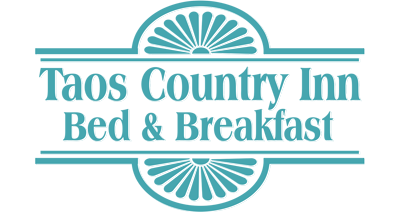 Every morning you’ll enjoy a leisurely breakfast buffet with an assortment of fruit, yogurt, and granola, followed by a delicious hot entrèe that varies from waffles to huevos rancheros. 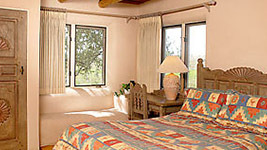 You won’t get that at just any hotel in Taos! 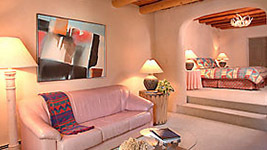 Your hostess, Yolanda Deveaux, is a native of Taos. Her mother’s family, the Trujillos and DesGeorges, have lived in this valley for many generations. 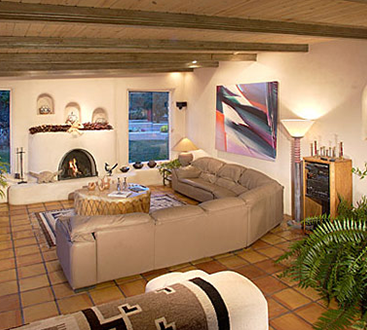 Yolanda’s father, Dr. Deveaux came to Taos from Mexico to practice medicine some sixty years ago. 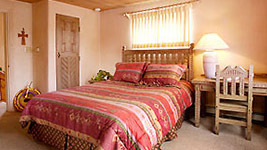 Yolanda’s vast knowledge of the Taos area and its history will make planning your stay at this lovely Taos bed and breakfast an easy and unforgettable experience. 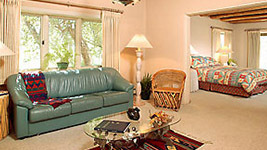 Now comes the fun part: deciding which room in our B&B is best for you! 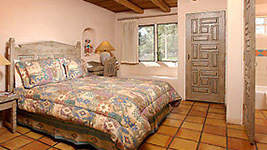 You’ll find that the variety we offer makes for the best Taos lodging available. 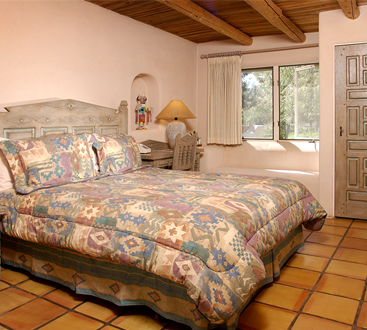 Click on the rooms below to find your favorite.